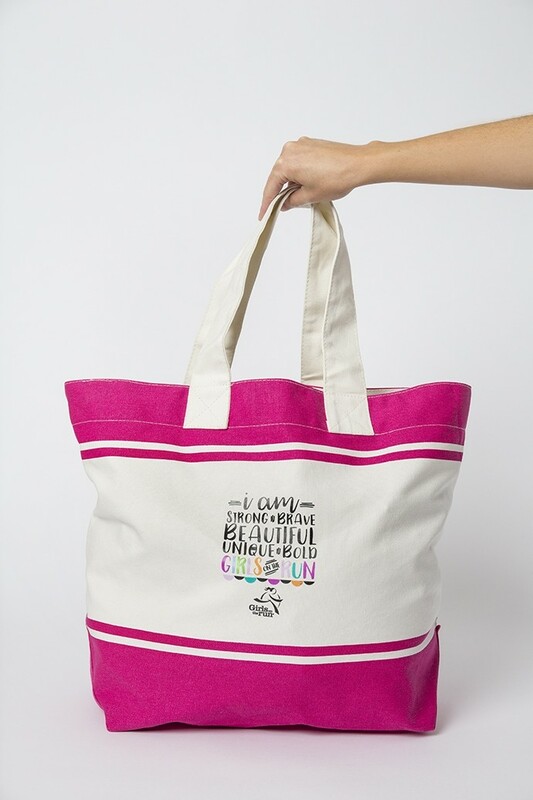 This classic, go-anywhere tote is makes this tote an automatic must-have bag printed with an optimistic catchphrase “I Am Strong, Brave, Beautiful Unique and Bold” Girls on the Run. 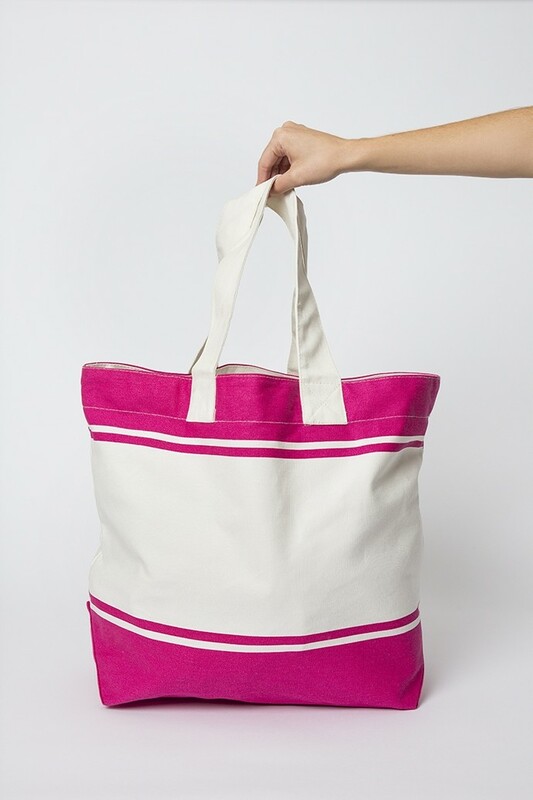 Additional details bag is made out of 12 ounce cotton canvas, 2 ply handles that measure 20” long. Bag measurements are 21” W x 15” H x 7” D.